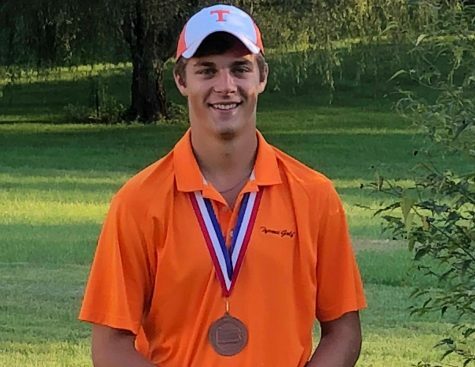 Tyrone senior Andrew Ferguson climbed as high as 7th place after nine holes on day one of the PIAA Golf Championships, but after a tough day two finished 19th at the PIAA State Golf Championship on October 22-23 at Heritage Hills Golf Course in York. Ferguson shot a 79 in round one, and an 85 in the second round on day two of the tournament. “For a second year I left disappointed because I knew I am better than what I placed. It was somewhat embarrassing because I know what I am capable of and I underachieved my expectations,” said Ferguson. 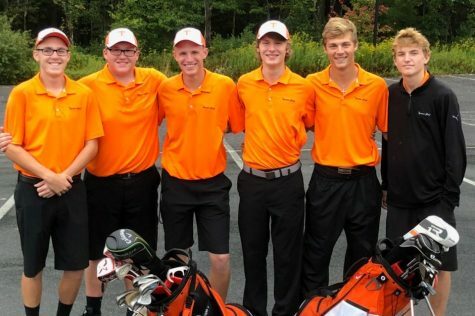 Despite his disappoint over his final round, Coach Ferguson was pleased to know that throughout his son’s four years of high school golf, he was a leader and role model for his teammates. “The team counted on him giving us that solid score out of the gate. 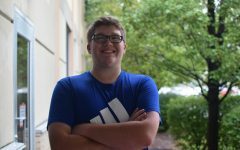 It gave the others piece of mind, but also a little pressure to perform because they knew we needed everyone’s score to succeed,” said coach Ferguson. 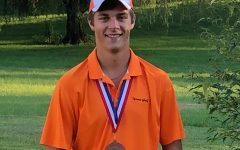 On day one of the state tournament, Ferguson had a good front nine shooting just 2 over par. 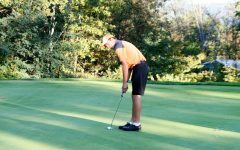 However, he started off his back nine with a bogey, double bogey, and another bogey, ultimately finishing the day in 13th place with a 79. “After looking back at the first round, I knew I screwed up the back nine pretty bad. The last four holes of the back nine are pretty tough, and I was able to play them at even par. 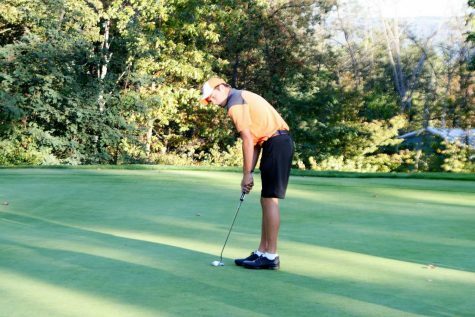 I knew I was in a pretty decent spot even after screwing up the back nine,” said Ferguson. Heading into day two, Ferguson was still just 6 strokes behind the leader, and well in the hunt to medal. 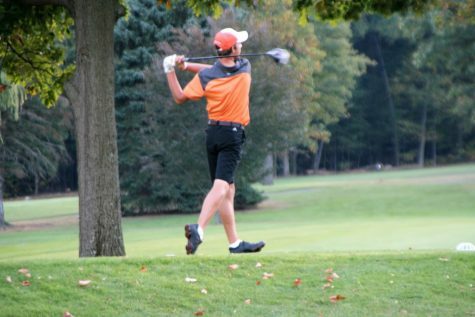 He started off day two well with two pars, but followed that up with a streak of bogey, double bogey and triple bogey. “I knew how I just played really hurt, but I tried to remain positive, and tried to make something good happen,” said Ferguson. Ferguson had a steady back nine with a bogey, two double bogeys, and a birdie. His birdie was on his final hole. He carded his second round score of 85. He finished with a final score of 164, 15 strokes behind the leader. “The past four years has been an experience that I will always cherish. The highs and lows have all helped to shape me into the person I am today. I thank all of the people who have supported me, and helped me along the way,” said Ferguson. Always a team player, with all the individual success, Ferguson’s favorite moment of his high school golf career was a team accomplishment. 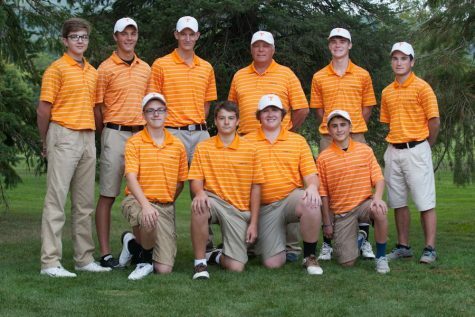 “My favorite moment would be when we came back from a huge deficit to beat Huntington in the last match of the regular season to claim the 2017 Mountain League title,” said Ferguson. Even with Andrew’s tough finish at states, Coach Ferguson is proud of him for accomplishing all that he has done so far and will continue to support him in his future. 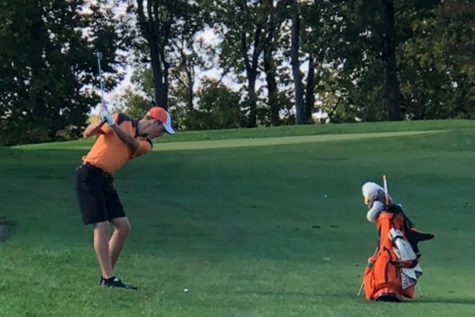 “Overall Andrew has experienced many good days on the course and should leave his high school golf career with a feeling of accomplishment and success. He’s been a part of good teams with great teammates, he should be very proud to have been a part of that. 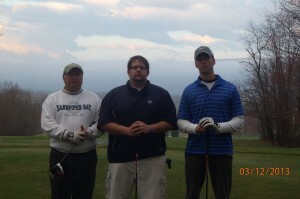 He has a lot of very good days ahead of him on the links,” said coach Ferguson.